Presented here is a selection of Hopkins-related events which were recorded and are now available in several online audio and video formats. (Links to popular media players can be found at the foot of this page.) For questions, comments or suggestions about these presentations, please e-mail: media@jhu.edu. In addition, please stop by our RSS News Feeds and Podcasts page. May 21, 2009. 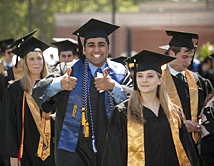 For more than 6,000 Johns Hopkins University students, years of hard work, good times, intellectual intensity and personal growth reached their culmination at Commencement 2009. Experience some of the moments by watching a short video, filmed and edited JHU's Marketing & Creative Services. May 14, 2009. The annual pARTy at the Homewood campus Mattin Center celebrates — with exhibitions, performances and demonstrations — the artistic accomplishments of Johns Hopkins University undergraduates throughout the academic year. Watch this short video to get a glimpse of what Johns Hopkins students did in 2008-2009 in the visual arts, dance, digital media, music and other artistic endeavors, both in the classroom and in extracurriculars. May 12, 2009. Johns Hopkins students — those of an artistic bent and the more engineering-minded — collaborated on designing and building the Homewood campus's first entry in Baltimore�s quirky Kinetic Sculpture Race, sponsored by the American Visionary Arts Museum. Watch this short video documenting how the Johns Hopkins entry, dubbed Twitter Jay and the Recyclists, overcome obstacles to complete its 15-mile course over land, water, mud and sand. March 26, 2009. The Center for Africana Studies at Johns Hopkins is welcoming renowned visual artist Renee Stout to the Homewood campus this spring as its inaugural artist in residence for a series of lectures and workshops. Stout is planning to create pieces that will initiate a campuswide dialogue on critical questions concerning race and culture, both on campus and beyond. 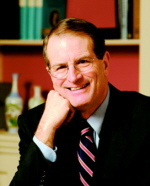 Watch this recording of Stout�s first lecture. December 12, 2008. For their first major design project, freshman mechanical engineers at Johns Hopkins recently had to think low-tech. They were assigned to design, build and race model cars that could not use conventional motors — or even a single battery. Each vehicle could be powered only by two mousetraps and six rubber bands. Inside the Computational Science and Engineering Building, 20 student teams put their motley car creations to the test. Many of the vehicles boasted bodies made of wooden slabs and wheels made of DVDs. The self- propelled vehicles had to veer around two obstacles to reach the finish line. Watch this short film about a challenging but fun-filled competition. 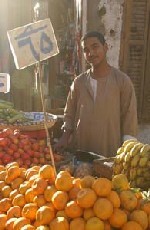 October 6, 2008. In his 50 years at Homewood, Richard A. Macksey, A&S '53, '57 (PhD), has been a teacher, mentor, and friend to generations of students — and has become one of Johns Hopkins' treasures. He plans to bequeath to the Sheridan Libraries a treasure of his own: his personal book collection made up of more than 70,000 volumes, ranging from 15th-century annotated editions of Virgil to film studies, and covering just about everything in between. Watch this short film about Dr. Macksey and his enduring legacy at Johns Hopkins. May 22, 2008. The stands of Homewood Field were crowded with friends and family of the latest class of Johns Hopkins University graduates, as the university held its 132nd commencement exercises on Thursday, May 22, 2008. Experience some of the moments by watching a short video, filmed and edited by the folks in the JHU Department of Digital Video Services. December 11, 2007. A team led by Johns Hopkins researchers is trying to solve the airflow mysteries surrounding wind turbines, an increasingly popular source of "green" energy. 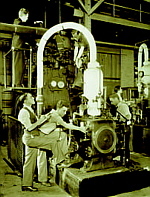 The team's experiments, involving smoke and laser light, are taking place inside a wind tunnel on the university's Homewood campus. To see and hear more about this project, please stop by this page and watch the short video. May 17, 2007. The stands of Homewood Field were crowded with friends and family of the latest class of Johns Hopkins University graduates, as the university held its 131st commencement exercises on Thursday, May 17, 2007. Experience some of the moments by watching a short video, filmed and edited by 2003 graduate Ruthie Aslan. November 13, 2006. Faculty members and students affiliated with the National Science Foundation Engineering Research Center for Computer-Integrated Surgical Systems and Technology, based at Johns Hopkins, want to transform and improve the way many medical procedures are performed. To see and hear more about these medical robotics projects at Johns Hopkins, please stop by this page and watch the short video. June 12, 2006. The Johns Hopkins Tutorial Project pairs undergraduates with city school students for twice weekly one-on-one tutoring sessions during the school year. Johns Hopkins students have been the driving force behind this mentoring program since it began in 1958. Please stop by this page and watch a short video of the students in action. May 25, 2006. The stands of Homewood Field were crowded with friends and family of the latest class of Johns Hopkins University graduates, as the university held its 130th commencement exercises. Watch a short video of the university-wide commencement ceremony, filmed and edited by 2003 graduate Ruthie Aslan. May 22, 2006. Three Johns Hopkins mechanical engineering students designed two custom computer desks to help a woman with disabilities to continue to work from her home. To hear the student talk about the project and see them deliver the desks to their client, stop by this page and watch a short video. December 5, 2005. Join sophomore Stephanie Kallab on a recent day on and off campus. The Baltimore native and International Studies major gives insight into the busy life of a Johns Hopkins undergraduate. Stop by this page and watch a short video. November 14, 2005. In its 20th year, CultureFest is a rich celebration of diversity, recognized by a weeklong list of activities featuring music, food, lectures and the popular CultureFest Show, which gives students a chance to shine. To get a sense of the fun, watch this short video. July 5, 2005. Johns Hopkins undergraduates develop a model airship with sophisticated controls that may aid professional engineers in developing a surveillance craft that can explore the outer edge of the Earth's atmosphere. To see the blimp in action, watch a video about their work. June 21, 2005. Cell phones and driving. Can people really concentrate on the road and a cell phone call at the same time? New research from Johns Hopkins University points to a physiological reason why not. To learn more, watch this short video. June 16, 2005. Help for volunteers with disabilities. Johns Hopkins engineering students modify tractor to help volunteers pitch in. To learn more, watch a video about their work. May 27, 2005. The class of 2005 moves forward in commencement cermonies at Homewood Field. The featured speaker was Al Gore. To get a sense of the event, watch this short video. April 12, 2005. Johns Hopkins in 30 seconds. In conjunction with the men's lacrosse team appearing on the new channel, ESPNU, the university prepared a short video promotional spot that has been seen by national audiences. Check out this short spot. March 16, 2005. Inspired by nature, Johns Hopkins senior Owen Loh has created a robotic antenna that mimics the insect's ability to scurry along walls and avoid obstacles. Ultimately, such a robot could be useful in unmanned rescue operations at disaster sites or places where it would be unsafe for humans to venture. See the robot cockroack in action by watching this short video. March 7, 2005. Computer simulations of how black holes accrete matter show surprising violence and turbulence, challenging many commonly held assumptions about the nature of this phenomenon. Watch these short simulations. December 17, 2004. Can robots make art? 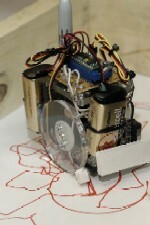 A group of Johns Hopkins engineering students recently tackled the problem of creating small robots that could create works of art. To see how well they did and experience some of the fun, watch this short video. December 5, 2004. How many pounds can a bridge made out of spaghetti noodles hold? Find out by watching a short video presentation of the 11th Annual Spaghetti Bridge Contest, a traditional test of freshman Engineering students at the Johns Hopkins University. December 2, 2004. In a collaboration that blends biology and robotics, researchers at the Johns Hopkins and the University of Maryland are unraveling the circuitry in an eel's spinal cord to help develop a microchip implant that may someday help paralyzed people walk again. To learn more about this research, and to watch short video segments about it, stop by this page. June 8, 2004. 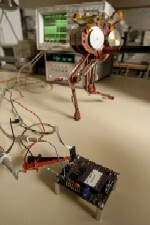 Senior engineering students develop a low-cost roving robot to detect landmines. 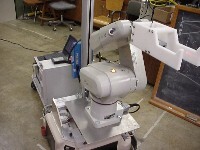 To learn more, see this robot in action. May 24, 2004. Three senior engineering students have created a harness and vest system to better protect people with osteoporosis and other brittle bone disorders, a system that significantly reduced impact forces when tested on a high-tech crash test dummy. To learn more about the research, and see the crash test, stop by this page. May 24, 2004. The Johns Hopkins University's 128th academic year concluded on May 20 with commencement ceremonies. Some 5,819 students earned degrees, certificates and diplomas. To experience some of the joy of the event, watch this short slide show. April 28, 2004. 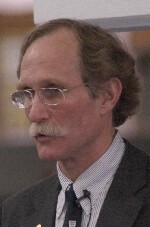 Dr. Peter Agre, the 2003 Nobel Laureate for Chemistry, recently met with about 100 of Baltimore City's public school science teachers, saying he respects and honors the important work they do while emphasizing that producing science-literate citizens has never been more important. See the video. March 28, 2004. The Johns Hopkins Montgomery County Campus is in the heart of an area nicknamed "DNA Alley" for the concentrated biotechnology research firms and federal labs. The Hopkins campus is poised to play a key role in the biotech boom. To learn more, watch this award-winning short video on the subject. March 25, 2004. A new device developed by undergraduate biomedical engineering students at Johns Hopkins seeks to help doctors with difficult deliveries. To learn more, check out this short video that shows how the device works. See the video. January 12, 2004. 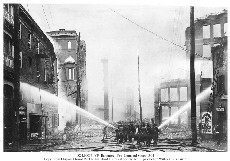 The Great Baltimore Fire — 100 years later. Professor Pete Petersen spent four years researching this devastating blaze, which destroyed an area of downtown Baltimore the size of the Johns Hopkins University's Homewood campus and caused $150 million in damage (in 1904 dollars.) Listen as he talks about his book on the eve of the 100th anniversary. January 5, 2004. Tune in as Betsy Bryan and her team conduct archeological research at the the Temple of the Goddess Mut at Karnak in Egypt. For the fourth year, Bryan has allowed the world to watch as her team works. See the video. December 31, 2003. Students involved in undergraduate research projects at Johns Hopkins University. Get a sense of the wide-ranging and exciting research projects that Hopkins students are involved in by watching this short video. September 23, 2003. Theresa Heinz , chairman of the Heinz Family Philanthropies and The Heinz Endowments and a visionary, passionate philanthropist, gave heartfelt remarks in receiving the 2003 Albert Schweitzer Gold Medal for Humanitarianism. Listen as she describes her journey from growing up in Africa to leading a giant philanthropic organization. June 11, 2003. The Class of 2003 assembled under threatening skies on May 22 for graduation ceremonies on Homewood Field. Photographers were there to document the joy and exuberation of another class going forth. 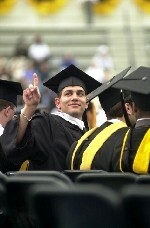 Tune into commencement 2003 by watching this video slide show of the day's events. May 16, 2003. Installing a child safety seat properly, so that there is little or no wiggle, can be a difficult challenge for those with small children. It requires more than 200 pounds of force. 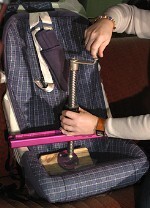 Enter three Johns Hopkins undergraduates, who designed a special device to help make seat installation easier. Join them as they explain and demonstrate their project. March 19, 2003. Johns Hopkins researchers are testing the clinical efficacy of a new approach to birth control and preventing the spreading sexual transmitted diseases: BufferGel. Professor Richard Cone describes the long research journey that led to the development of BufferGel. Learn more by watching a brief video. November 25, 2002. How do researchers and underwater explorers achieve pinpoint control of remotely operated vehicles, when thousands of feet of ocean separate them? A Hopkins team is working on developing command and control systems for underwater robots. Learn more by watching a short video. October 25, 2002. Ever wonder why tales of demons and witches evolved the way they have? 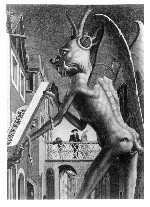 Hopkins Professor Walter Stephens has studied the story behind the tales of witches and demons. Join him as he shares his findings. October 14, 2002. Take a riding tour of the Homewood campus and see the new brick walkways, trees, landscaping and overall more pedestrian friendly atmosphere. Climb aboard. September 23, 2002. Booms and Busts. Political Scientist Mark Blyth, in a new book, examines the historical underpinnings of economic booms and busts, comparing the 1920s to the bullish 1990s. What will happen next? Listen as he uses history as a guide. July 16, 2002. Political Scientist Kellee Tsai travels the back streets and alleys of China to uncover the mystery of a booming private entrepreneurial sector, in the absence of private finance or property rights. Listen as she describes her journey. May 20, 2002. Corey Seznec (at right) is among the first group of Woodrow Wilson Fellows about to graduate from Johns Hopkins University. Seznec and the other graduating seniors recently presented their research findings before a public audience. 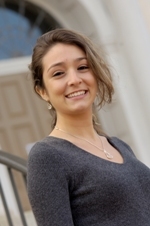 The Wilson program gives undergraduates unique opportunities for original research. Learn more by watching the videos of their presentions. May 15, 2002. Chang Lee, a biomedical engineering and engineering mechanics major from Atlanta (at left), tests a whitewater helmet, part of a student project to design and build a safer whitewater helmet. Learn more by watching a video about the project. April 1, 2002. Matthew Crenson (at right) got his students engaged in Baltimore's public transportation woes. Their gritty video tells a powerful tale of a real world problem. Tune into Sick Transit. March 15, 2002. 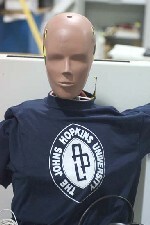 Researchers at Johns Hopkins University are developing a library robot to enhance access to library materials. See how this project might affect the future of research libraries. February 4, 2002. Heather Campbell didn't give up the first time she tried to get inside a Chinese orphanage, as part of her Woodrow Wilson research project. Her perserverance paid off in a rare inside look at one of the controversial institutions. Find out about her research in her own words. October 24, 2001. Professor Michael Johnson argues that the Denmark Vesey affair, the largest slave rebellion plot in American history, and which resulted in 35 men being hanged, never existed and the men who died were innocent. He recently sat down to talk about his research findings. Hear the story in his own words. June 19, 2001. "This happy and important occasion..." More than 5,000 students received bachelor's and advanced degrees during 2001 commencement ceremonies at the close of Johns Hopkins University's 125th academic year. For a look into the sights and sounds of that day's events, check out this slide show. May 14, 2001. A journey into the world of 16th century English portrait miniatures. Graduating senior Jamie Franco did advanced research trying to prove that a female artist of the Tudor court has been treated unfairly by modern scholars. Her groundbreaking findings are to be published in a European art history journal this summer. Join her as she describes her research journey. May 7, 2001. Measuring political attitudes of Chinese entreprenuers. Kellee Tsa, an assistant professor of political science, will this summer embark on an ambitions survey of Chinese entrepreneurs. To find out more, and to hear about her other research involving private finance in China, Check out this short video. April 26, 2001. 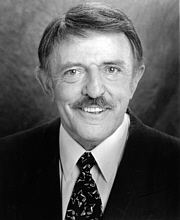 John Astin returns to Homewood.. Best know for his role as Gomez Addams on the Addams Family television series, John Astin returns to Johns Hopkins University to teach an Acting and Directing Workshop in the Writing Seminars. To get a sense of how it's going, Check out this short video. April 2, 2001. "The Quantum Physics Model of the University." President William R. Brody recently delivered a speech marking the 125th anniversary of The Johns Hopkins University. Listen in to President Brody's talk on Commemoration Day. March 28, 2001. Meet the Author: Mame Warren sat down recently to talk about her ambitious book which captures John Hopkins University's first 125 years in words and pictures. Hopkins video production students filmed the interview and two of the better edited versions of that interview are presented here. >> This version was edited by Priscilla Jesunthadas, a junior natural sciences and public health major. >> This version was edited by Frank Fattori, a sophomore film and media studies major. March 12, 2001. The Plan for Homewood Campus has already leapt off the drawing table and is taking physical shape around us, but it's just the beginning. The plan will guide development at Homewood for years to come. To learn more about the plan and the principles behind it, check out this short video. February 23, 2001. Undergraduates in the Whiting School of Engineering are using a model helicopter to learn how to design control systems that can fly the helicopter without the aid of a pilot. Watch video of the helicopter. February 19, 2001. In learning language, infants rely on the patterns of language more than previously thought, says Rebecca Gomez, an assistant professor of psychiatry at Johns Hopkins University and who was presenting her findings at the annual meeting of the American Association for the Advancement of Science. She sat down recently and explained what role artificial language plays in her research. Watch Gomez in RealVideo format. Watch Gomez in QuickTime format. February 2, 2001. "Discovery at Umm el-Marra." Johns Hopkins Professor Glenn Schwartz led a team of archeologists who discovered an ancient, undisturbed tomb in Syria. He describes the find and what it means in this short video. January 4, 2001. Maternal Aggression in Mice. Scientists studying the origins of aggression have highlighted areas in the brains of mouse mothers that may generate fierce attacks on males who pose a potential threat to their pups. Postdoctoral researcher Stephen Gammie recently explained the research and findings in a brief video. December 7, 2000. "We believe in research..." Check out a new video on the Woodrow Wilson Fellowship program, an undergraduate research program in the Krieger School of Arts and Sciences. View the video in Real format. November 10, 2000. History Professor Louis Galambos recently edited the last letter of the Dwight D. Eisenhower Papers Project, an effort underway since 1963 and one Galambos has directed since 1971. He sat down recently to talk about the former president and his collected correspondence. Listen in. Or Read more about it. May 25, 2000. 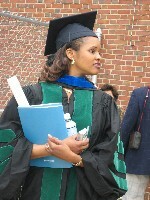 The Johns Hopkins University class of 2000 commencement ceremonies. An emotional and triumphant time for the graduates, their family and friends. If you missed it or if you were there and want to relive it, the event was captured in a series of photographs and put to music in a slide show, which you can view by going to the slide show. January 18, 2000. Global competition, speed, information overload and aggressive distance learning companies — these are some of the challenges a traditional research university faces today and in the coming years. 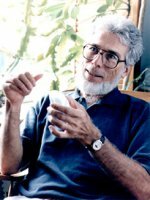 William R. Brody, president of The Johns Hopkins University, recently addressed these issues and more in his discussion of "The Quantum Physics Model of the University in the New Millennium." For questions or comments about these audio/video presentations, please e-mail prs@jhu.edu.